CoreSite Realty Corporation started in 2001 as CRG West, a portfolio company of The Carlyle Group. It was created to meet the needs of interconnection and data centre customers at One Wilshire in Los Angeles and 55 South Market in San Jose. From 2001 through 2009, CRG West continued to expand its data centre footprint across the U.S. and broaden its offering of interconnection services. As CRG West's strengths and abilities continued to grow, so did the company's customer base. The Any2 Internet Peering Exchange was launched and quickly became the second largest of its kind in the country. Web 2.0 brought some of the top websites and biggest enterprise customers to CRG West data centres. In 2009, CRG West rebranded as CoreSite—a name more indicative of the company’s national capabilities, international reach and mission-critical reliability. 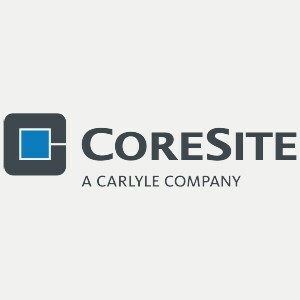 In 2010, CoreSite became publicly traded on the New York Stock Exchange (NYSE: COR). Today, CoreSite operates 15 data centres in eight major communications markets across the United States, serves more than 750 customers and has a portfolio that totals more than 2.5 million square feet.